Waterproof Shuffle. Fits the Apple iPod Shuffle 1st, 2nd & 3rd Generation. 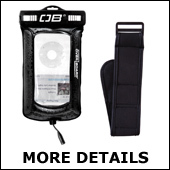 The Pro-Sport Waterproof iPod MP3 Case with Sports Arm Strap. 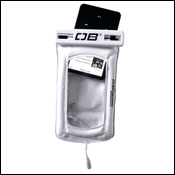 A heavy duty underwater MP3 case that floats if dropped in water thanks to the ingenious air injected pockets. Supplied with our tough fully adjustable neoprene Velcro sports arm strap. 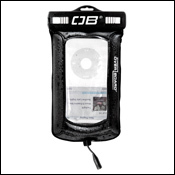 Although it is designed to be a waterproof iPod case this case will also fit many similar sized, and smaller MP3 players. See size guide. Constructed from .42mm soft matte PVC, Features a transparent frontage with air injected pockets, and seals tight by way of our Slide Seal System™. Products fully usable when safely sealed in the case. Available in White or Black. Guaranteed submersible to 19ft / 6m. Flat clip design and padded back for comfortable storage under wetsuits. Keeps out dust, sand and dirt. Built in gold headphone jack for earphones. Neoprene velcro sports arm strap. Clear front panel for operating controls and click wheels inside the case. 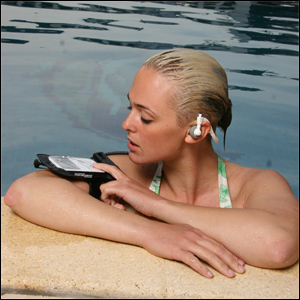 Compatible with H2O Audio, Overboard and Aquatunes waterproof headphones. 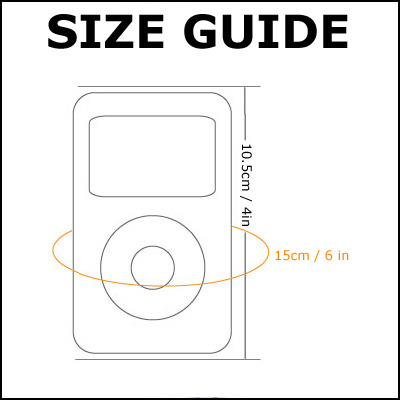 Dimensions of Underwater MP3 Player Case: Circumference 6in/150mm, Length 4in/110mm.